We enjoyed a beautiful spring tease of a day on Thursday. 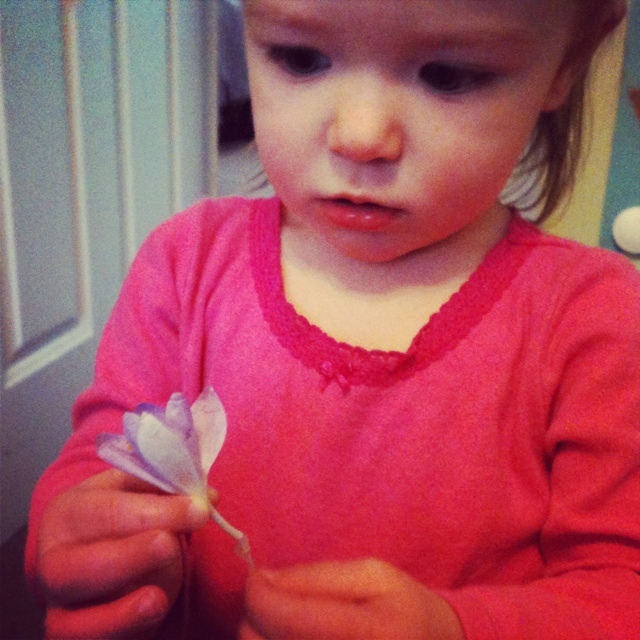 We went for a nice little walk and M found a beautiful flower. We taught her to smell it and then she tried to eat it.